Intrinsic Financial Services accept no responsibility for this aspect of our business. Here at Mortgage2day, we appreciate that life doesn’t always run smoothly and not everyone will be able to manage all aspects of their life unassisted. This is why we have a team of experienced legal advisors and solicitors on hand to help you, whatever your situation. At Mortgage2day, we are dedicated to offering you the best possible range of services and that is why we use solicitors qualified in a number of fields. Our main areas of expertise naturally surround the property market and that means regardless of whether you need a purchase solicitor to help you buy you dream home or a remortgage solicitor to help you negotiate a difficult second mortgage, we are here to help. 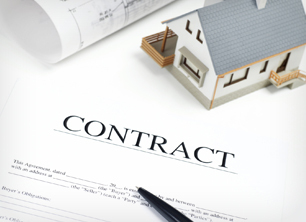 All of these legal services come under the broad term known as conveyancing. This is the legal term which refers to the process of transferring property from one individual to another and therefore encompassing all procedures involved in property investments and purchases. From the application of your mortgage to the negotiation of terms, our trained solicitors will always offer you impartial advice and guidance every step of the way, making the purchase or management of any property easy to control. Why do you need legal services? The property market can be incredibly complex and, for those who are unfamiliar with its processes, navigating your way through it can be difficult. This is why it is always advisable to use the expertise of qualified solicitors when handling anything to do with buying or mortgaging a property. These individuals will have the experience and knowledge needed to ensure the process runs smoothly whilst giving you access to the best rates and terms. When planning to buy a property – here you will need to use the services of a purchase solicitor. They will help you negotiate the process and explain the responsibility and duties which you have as a buyer. They can also help you understand the different ways in which you can register your property. When looking to remortgage a property – when obtaining a second mortgage you will need to use the services of a remortgage solicitor. This is important as completing a remortgage can often be a difficult process and requires a great deal of thought. When planning to rent your existing property – if you plan to rent your existing property and move into new accommodation then you will need legal advice. Legal advisors will advise you on the best way to register the property that you currently own as well as any home which you intend to buy. If renting an existing property is an option for you, then you should speak to the mortgage advisors at Mortgage2day. We can help you find the best let to buy mortgage to help you afford your new property. Here at Mortgage2day, we are dedicated to giving our customers the best possible level of service and that means our mortgage services are guaranteed to help you in whatever capacity you require. All of the advice and guidance which we offer will be confidential and held in the strictest confidence, giving you the peace of mind you deserve. When it comes to buying or mortgaging a home or dealing, nobody wants to be plagued with difficulties or stress. The trained advisors at Mortgage2day are here to help no matter what the occasion and can help you navigate every aspect of your property investment.